Naturopathic medicine is derived from the healing powers of nature and is based on the belief that the human body has an innate healing ability. Naturopaths use a range of different healing modalities, such as clinical nutrition, herbal medicine, homeopathy, Bach flowers, as well as lifestyle changes, water therapy, exercise and more, to bring the body back to optimum health and wellness. Your Naturopath will design a comprehensive treatment plan that blends the best of modern medical science and traditional natural medical approaches to not only treat disease, but to also restore you to optimal health. First do no harm – naturopathic practitioners choose treatment protocols with no toxic side-effects and will not use an intervention or treatment if there is possible risk of harm to the client. Treat the whole person – practitioners believe a person’s health is affected by many factors – physical, mental, emotional, genetic, environmental & social. All of these are taken into consideration when your treatment plan is designed. Facilitate the healing power of nature – Naturopathy is based on the belief that the body can heal itself given the right circumstances and conditions, and by identifying and removing the obstacles, the body is able to allow the natural processes for maintaining and restoring health. Treat the cause – Practitioners seek to identify and treat the cause of a disease or condition rather than treat the symptoms. Physician as teacher – Practitioners consider it important to educate their patients in learning how their body uniquely responds in health and illness and what they can do to prevent ill-health. At a time when modern technology, environmental pollution, poor diet and stress play a significant role in the degradation of health, the use of natural methods of healing, as applied by Naturopaths, becomes considerably more important. 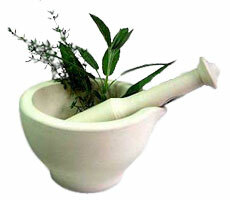 By using natural therapies, the naturopath is able to treat both acute and chronic ailments successfully. Much of today’s illnesses are chronic in nature and build up over a long period of time from multiple causes. Many of the principles of naturopathy involve stripping away these harmful influences and allowing the body to live in true health, creating prevention medicine so the body operates in optimum health. As a Naturopath, Medical Herbalist & Nutritionist, Kimberly specialises in fertility and natural health care for women and men, from puberty to menopause/andropause. Kimberly has a particular focus on reproductive endocrinology, particularly working with infertility in women and men, recurrent miscarriage, poly-cystic ovaries, endometriosis, thyroid disorders, adrenal insufficiency, menopause and hormonal issues. Kimberly uses specific dietary changes, lifestyle modifications, naturopathic solutions and a biomedical approach to provide real answers for women and couples wanting to preserve their fertility and protect their future without living in pain. By addressing the health in both prospective parents at least 4 months prior to conceiving a child, you can significantly impact the health of the child you bring into the world, this is the ultimate in preventative healthcare. Increasing amounts of research and clinical trials from all over the world are proving that health and nutrition in both prospective parents are vital to producing healthy, balanced, happy children.